Michael Schutz ('02 B.M.A.-percussion, B.S. Computer Sicence) is an associate professor of music cognition/percussion at McMaster University in Ontario, CN. The founding director of the University’s MAPLE Lab (Music Acoustics, Perception, and LEarning), he has been awarded a Natural Sciences and Engineering Research Council of Canada Discovery grant of $140,000 for his ongoing research concerning how humans perceive natural and artificial sounds. Schutz says that his research into learning how humans process natural and artificial sounds differently may one day lead to creating better hearing aids. While a natural sound will trail off for some time as materials lose energy, many artificial sounds are designed to decay immediately – the auditory equivalent of a freight train stopping on a dime. Understanding how humans perceive natural and artificial sounds differently holds important implications. People who use hearing aids know that listening to music is not always an enjoyable experience. The problem, says Schutz, is that companies often test hearing aids using sounds far less complex than those created by musicians. Schutz’s MAPLE lab is housed within the School of the Arts and is affiliated with the McMaster Institute for Music and the Mind. Its interdisciplinary nature provides research opportunities for students from across campus including those housed in music, psychology, health sciences, and biology. Known for his innovative blend of performance, teaching, and research, Schutz's duties at McMaster include running the MAPLE Lab, supervising honors projects in music cognition, directing the McMaster University Percussion Ensemble, and teaching the percussion methods course for music education majors. Additionally, he serves as chair of the Percussive Arts Society’s Music Technology Committee and maintains an active career as a freelance percussionist. Prior to moving to Canada, Schutz served as director of percussion studies at Longwood University (VA) and as an instructor in percussion at Virginia Commonwealth University. During this time, he performed regularly with central Virginia ensembles including the Roanoke Symphony, Opera on the James, Oratorio Society of Charlottesville-Albemarle, and the Wintergreen Orchestra. He has performed invited solo performances at the University of Virginia, Penn State,and Goucher College, as well as the Virginia/DC "Day of Percussion," Project Percussion Festival, and the Alvin Lucier Festival. In 2009, Michael made his third appearance at the Percussive Arts Society International Convention, performing Peter Traub's Groundloops: For Percussion and Internet. His previous convention appearances include a lecture on his music cognition research and a world premiere of composer Judith Shatin's trio Time To Burn with percussionist I-Jen Fang and oboist Scott Perry. Other world premieres include Gordon Ring’s Magnificat, as well as chamber works by Brett Dietz, Mekara Chaipruk, Rob Reinhart, and Peter Buck. Additional efforts to contribute to the percussion canon include his arrangements of orchestral pieces for percussion ensemble as well as marimba transcriptions of solo works for the guitar, violin, and piano. 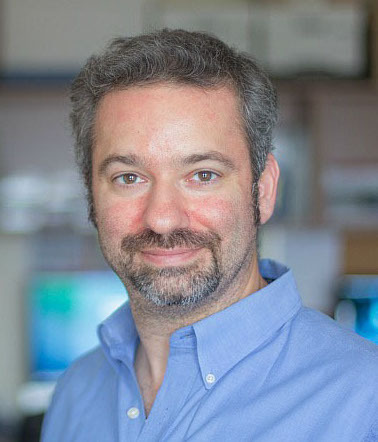 A prize-winning researcher, Schutz has published on topics ranging from the role of visual information in music perception and parallels in the communication of emotion in language and music, to the computer-aided analysis of post-tonal music. In addition to presentations at conferences in Illinois, Indiana, Florida, Missouri, Pennsylvania, Utah, Massachusetts, California, Ontario, and Québec, Schutz has spoken abroad at the International Conference on Music and Gesture (Manchester, UK), the International Conference on Music Perception and Cognition (Bologna, Italy), and the Acoustical Society of America conference (Paris, France). Other conference presentations include the Association for Technology in Music Instruction, Acoustical Society of America, Vision Sciences Society, and Music Language and the Mind. His publications appear in Percussive Notes, Percussive News, Journal of Experimental Psychology, Empirical Musicology Review, and Canadian Acoustics, and Perception. In demand as an educator and adjudicator, Schutz regularly gave clinics and performances at festivals, to high school percussion departments, and for youth music programs across the state. Committed to incorporating research on music cognition into the standard university music curriculum, he created a special topics course on the Science of Music, focused on educating future performers and teachers about the importance of music perception and cognition. Michael was a student of Dan C. Armstrong while a student at Penn State. He earned a master’s degree in percussion performance and music technology from Northwestern University. Additionally, he holds master’s and doctorate degrees in experimental psychology from the University of Virginia.